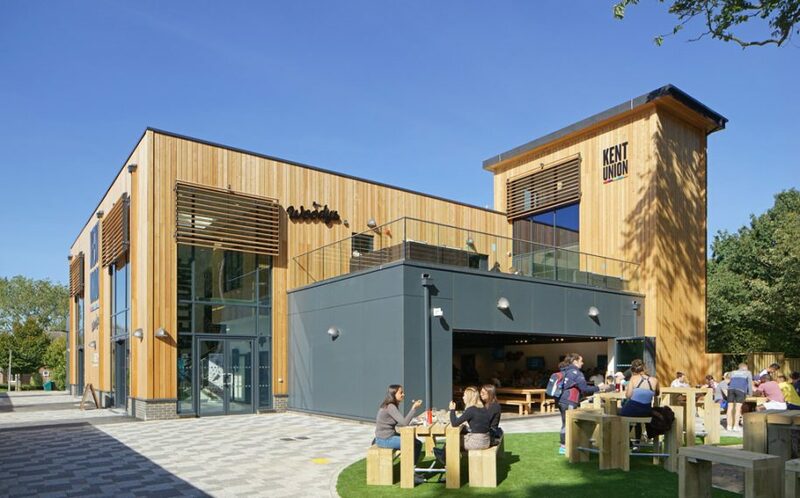 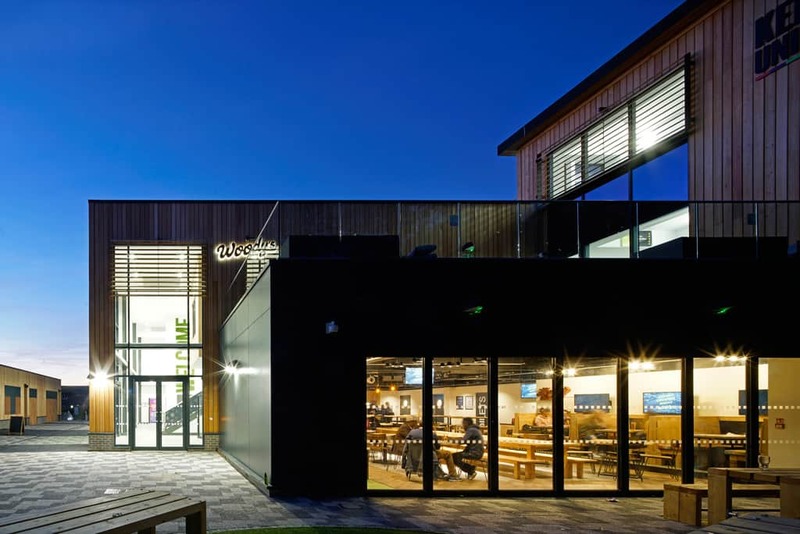 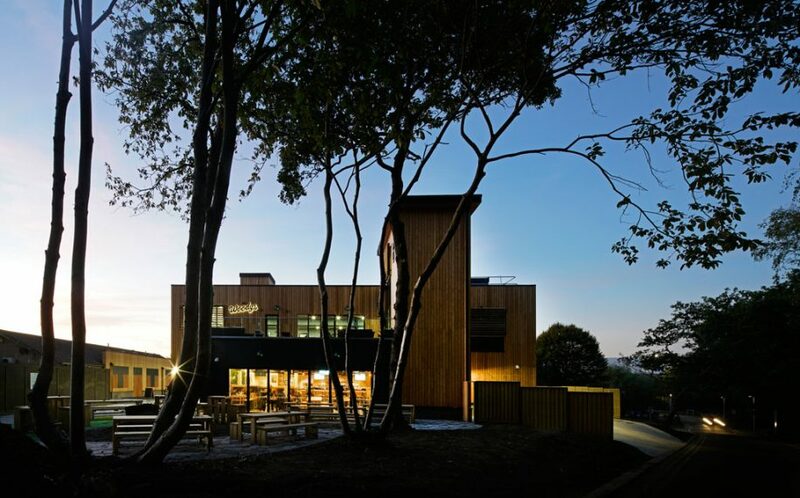 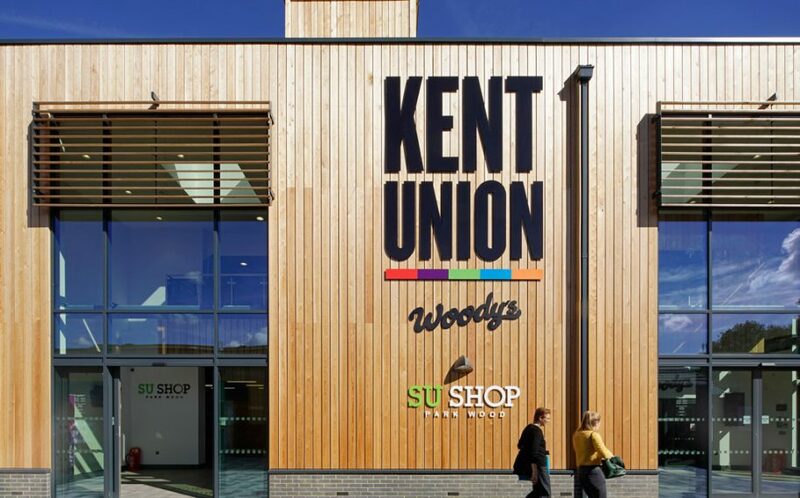 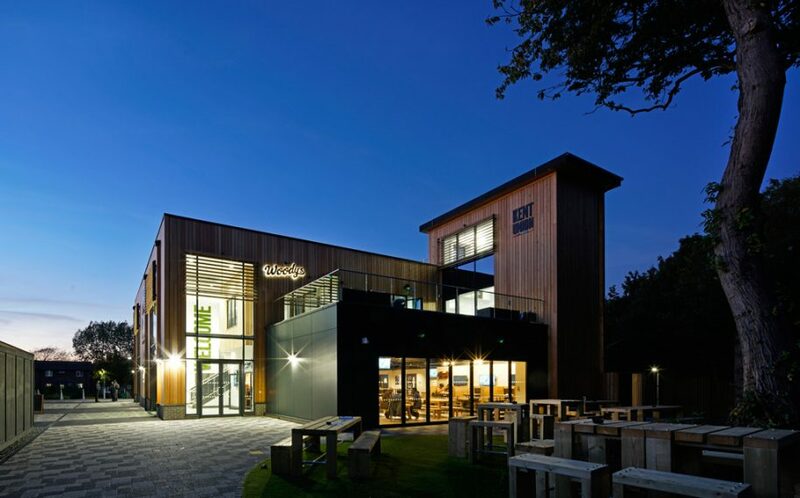 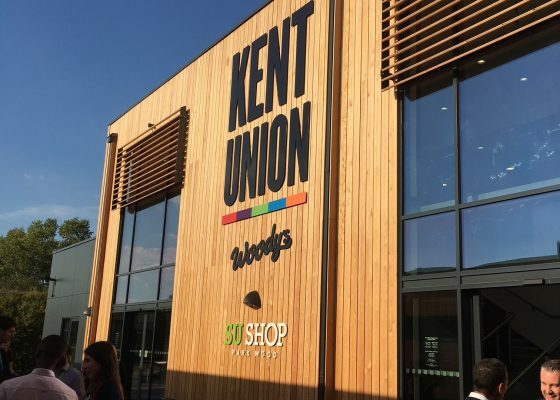 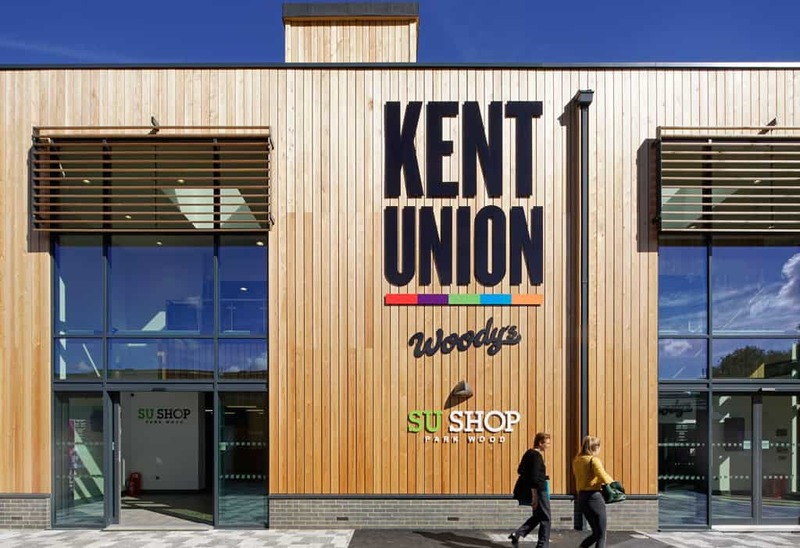 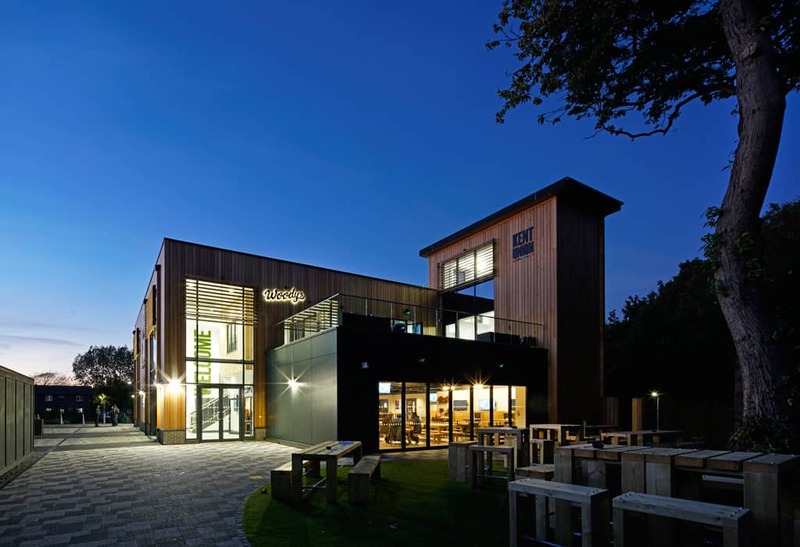 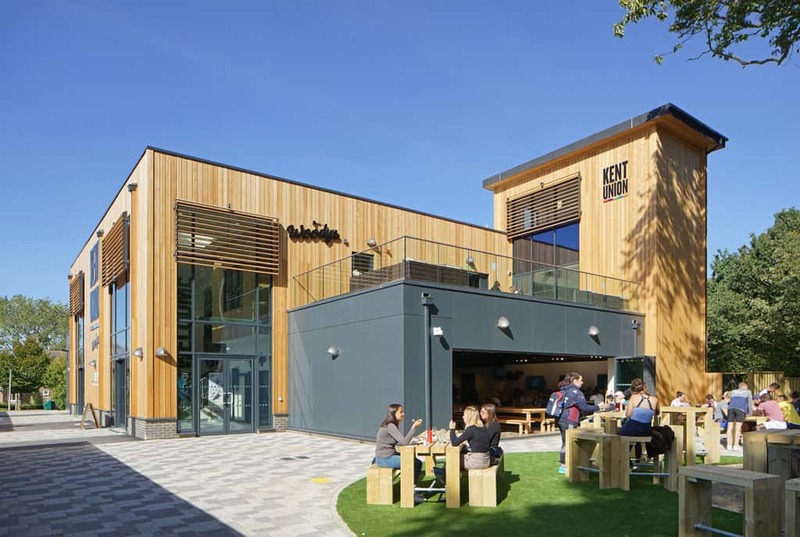 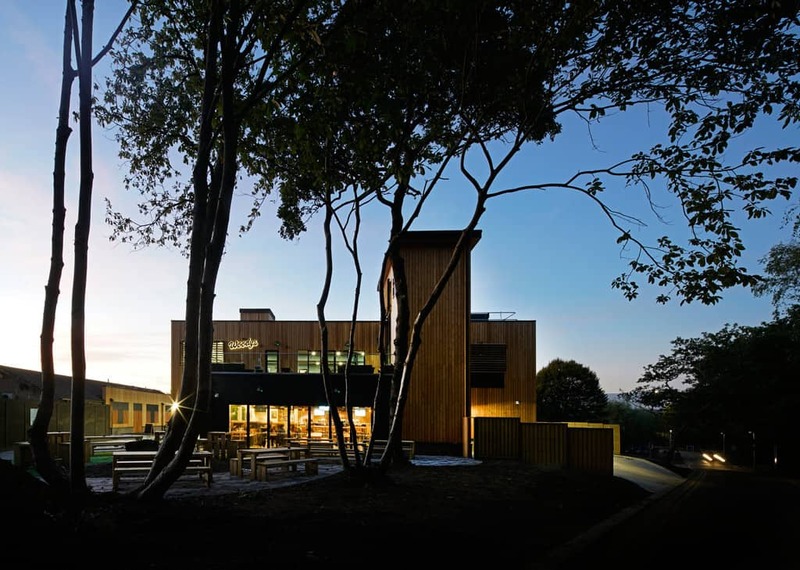 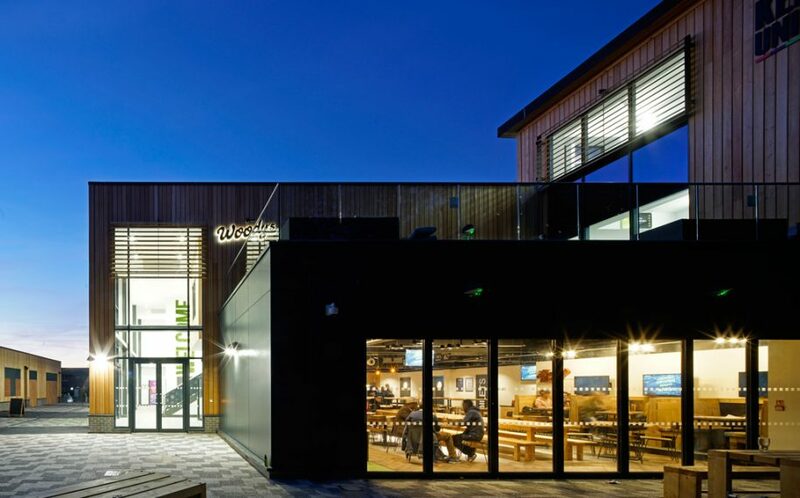 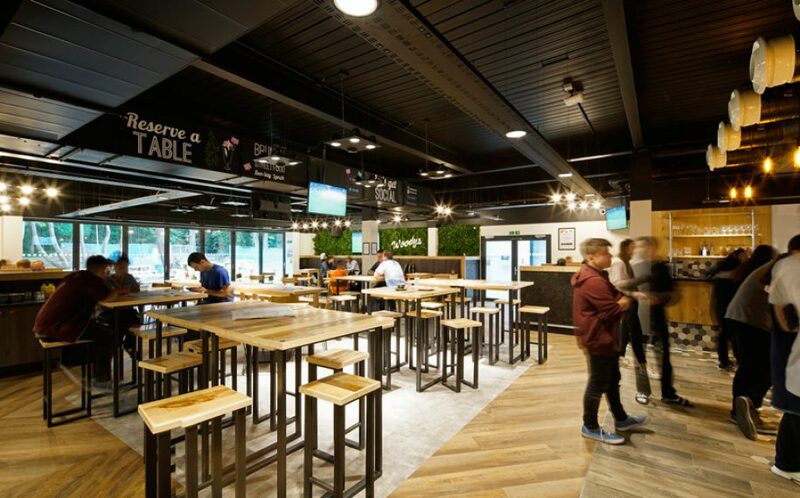 Nestled between native woodland and the Park Wood student village at the University of Kent, Canterbury, is the new Woody’s Bar and Student Union facilities, providing a vital social hub for those studying and living on campus. 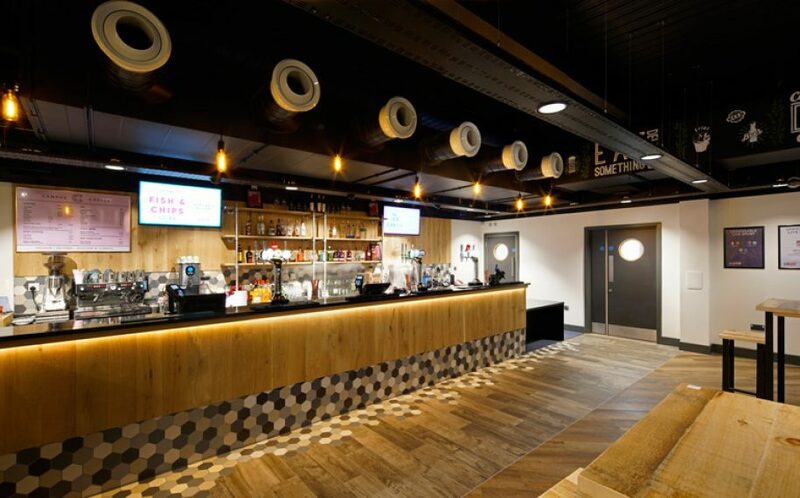 Social interactions are an important aspect of student life, which has been carefully considered in the design of this inclusive and accessible multi-use building. Woody’s Bar provides a spacious yet welcoming facility, with a relaxed ambience across two floors. 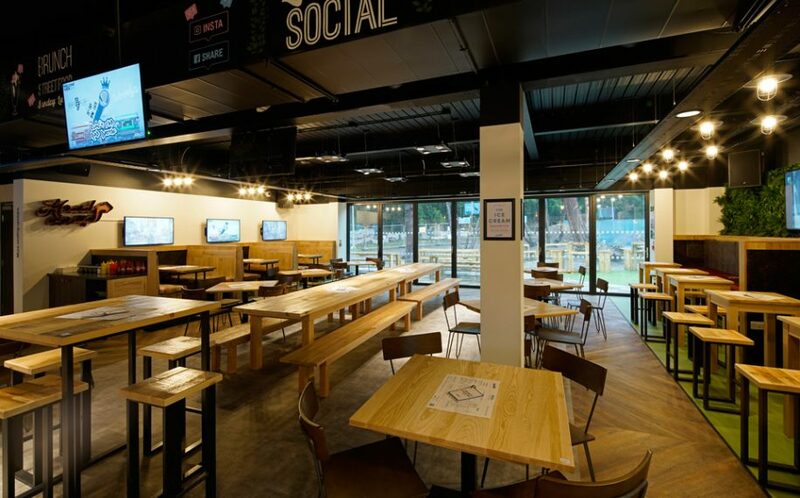 Extensive indoor and outdoor seating overlooks adjacent woodland. 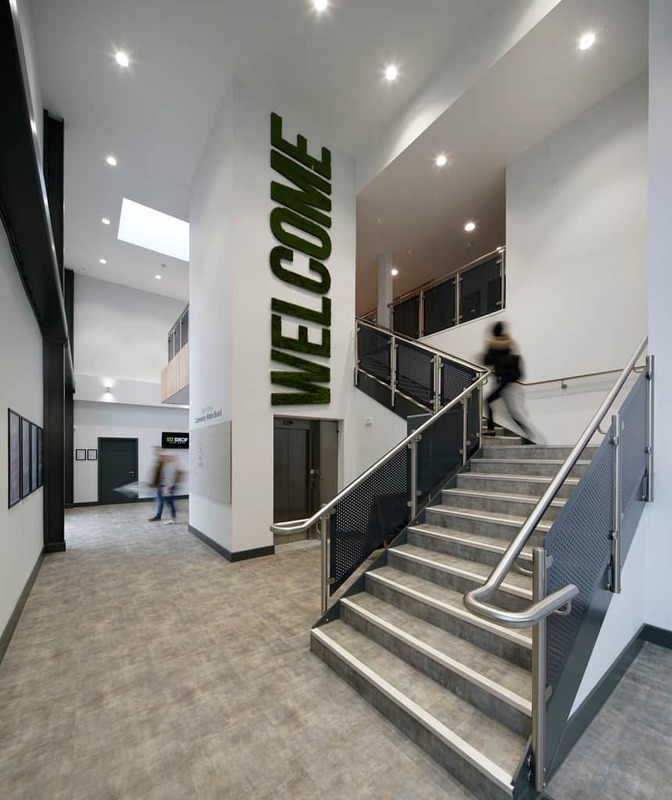 The building is also equipped with a study hub and two dance studios, providing students with the ability to learn and study close to their digs. 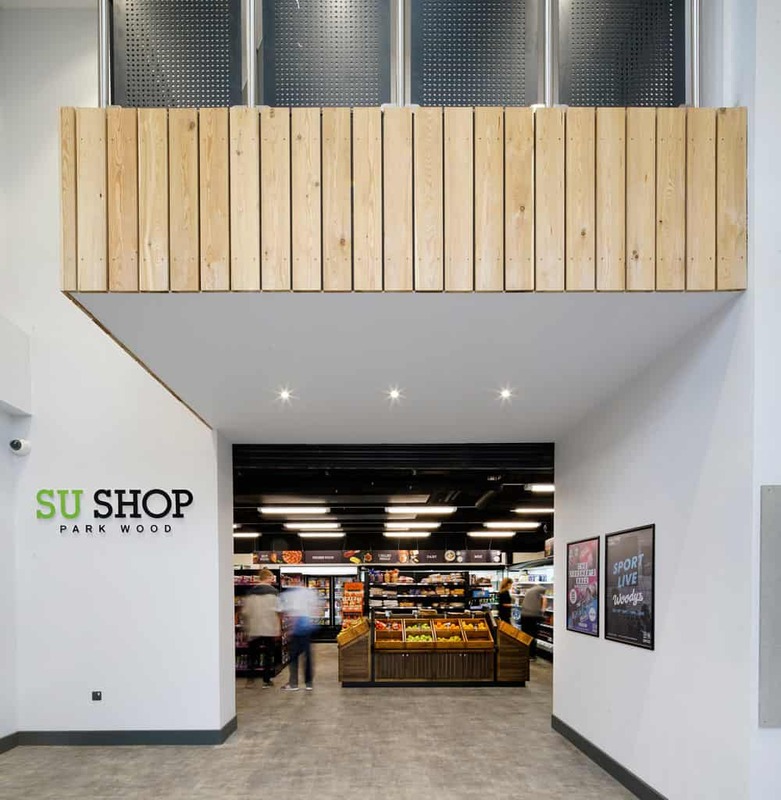 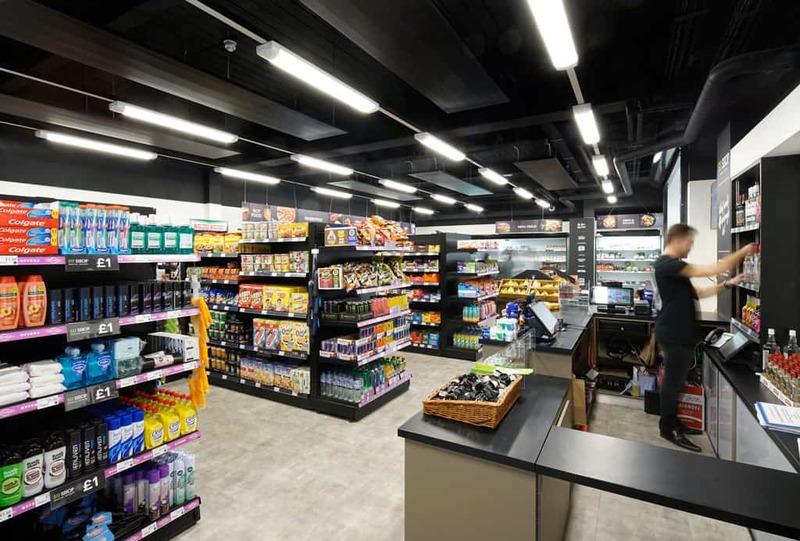 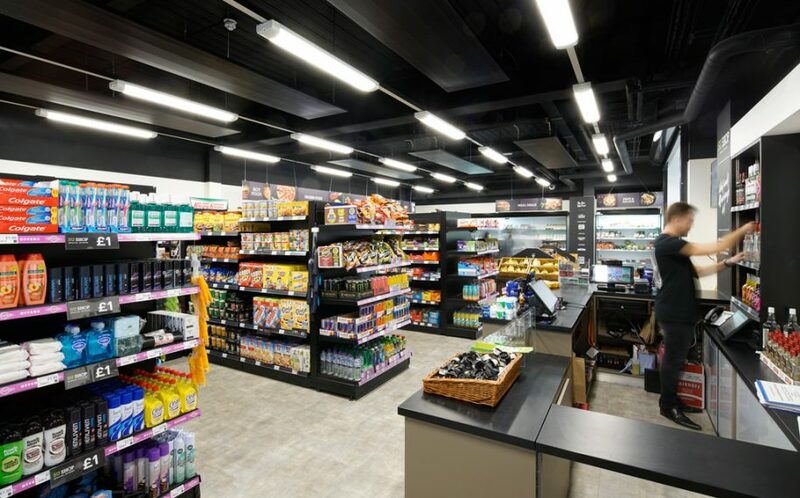 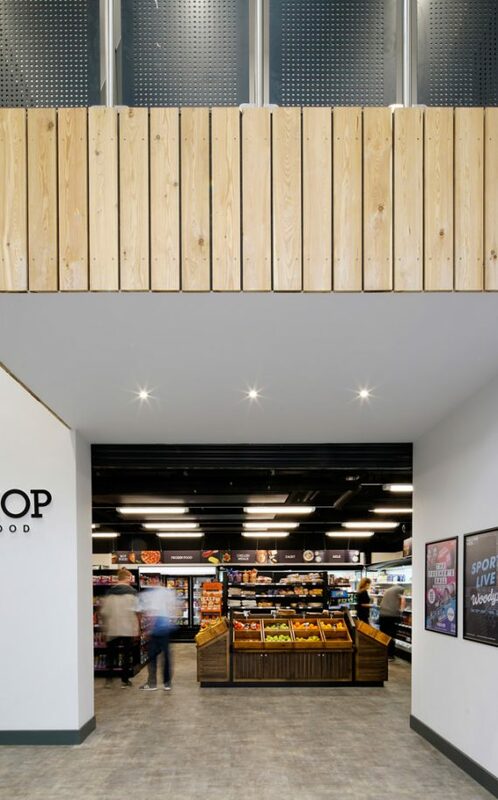 A new student shop, offering living and study essentials is also incorporated on the ground floor. 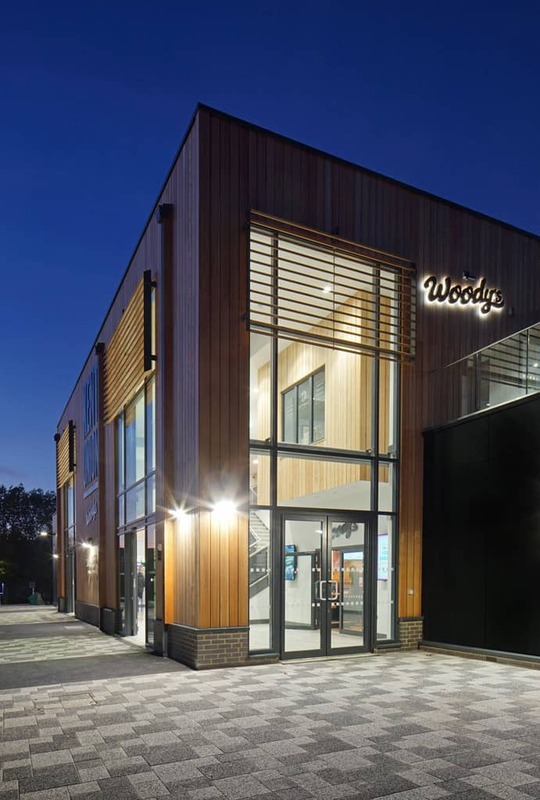 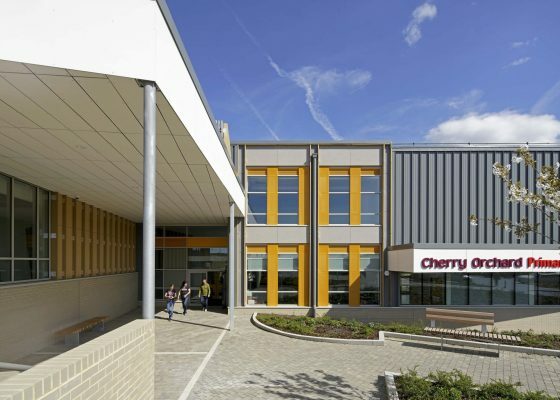 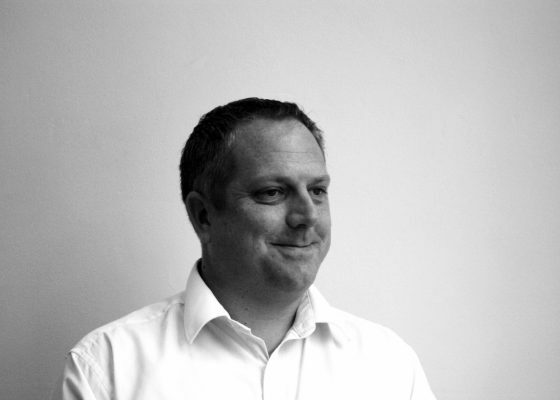 The steel frame and pre-fab SIPS construction led to a speedy build process – saving time and money, helping to ensure the scheme was delivered on time and on budget. External larch cladding gives appreciation to the woodland location, whilst softening the scale of the building. 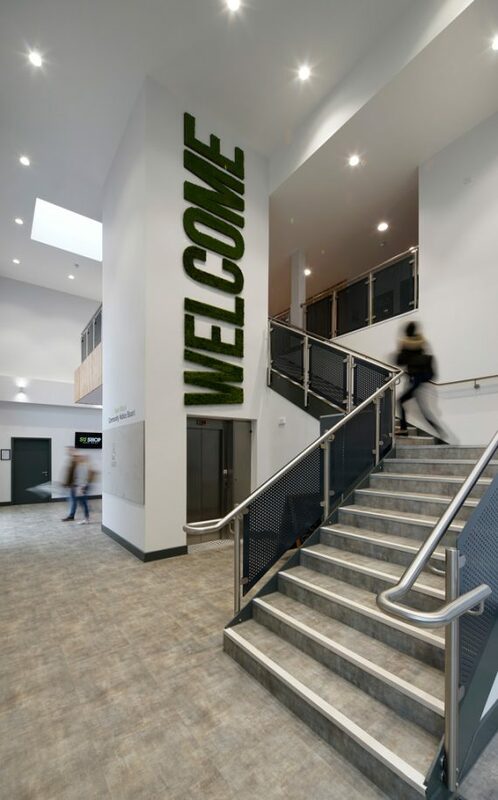 Constructed by Jenner Contractors, the building has received praise from students and staff, and is fast becoming a social centre for the University.